Here a retaining wall doubles as seating with a backrest. 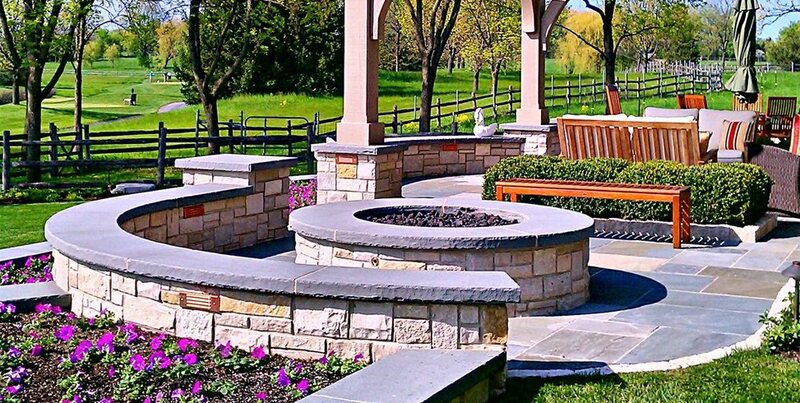 Seatwalls are a great option for around a fire pit. 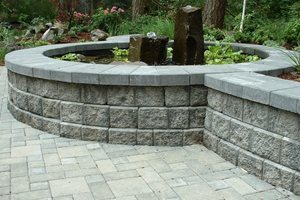 The best way to double the value of a retaining wall is to make it a seatwall. Seatwalls are simply a short wall that's designed for comfortable seating. 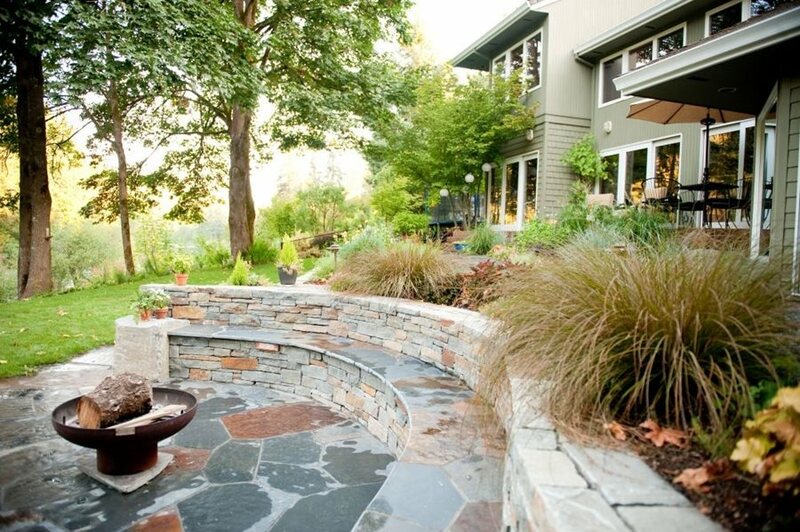 It's often a design feature that is included in retaining walls adjacent to outdoor living spaces. 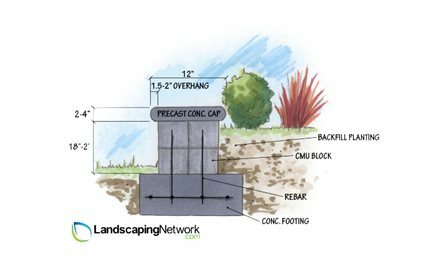 Retaining walls are frequently used to raise patios to an elevation above the surrounding grade, sometimes to meet the entry threshold of a raised foundation home. 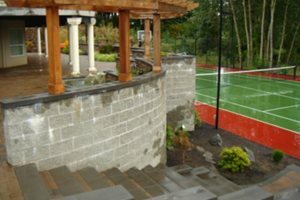 This places the retaining wall and the potential seat wall t the edges of our most frequently used outdoor living spaces. Simply extend the retaining wall 18" to 2' above the newly raised patio to provide a comfortable seating bench all year around. These are particularly useful on mild days in the off season when furniture has been stored for the winter. "We do a lot of seatwalls in our modern projects," says California landscape architect, Joseph Heuttl. "Our preferences is a block core with an ultra smooth stucco that looks like poured concrete when its well done. We use a special adhesive before application. Our crew has gotten really good at this - it looks like hard-toweled concrete. Sometimes we use a wider cap to increase width with bluestone or cast concrete." There's an even more practical use for seatwall-retaining walls. If the patio raised above a certain height, building codes may require a safety railing. Construction of a seat wall at the edge can be used in lieu of railing to create a safe barrier against people walking or falling off the edge. 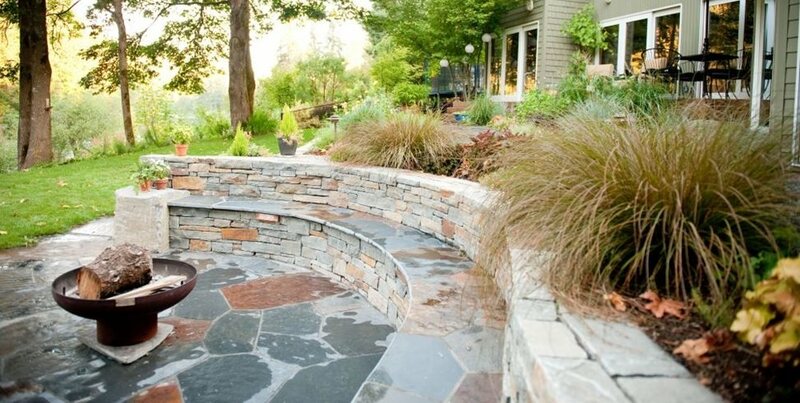 When the retaining wall must rise above the patio grade in order to hold a slope, it can become a planter wall as well. A surface suited to seating also makes it easier to admire the planting and to maintain it on a daily basis. Seatwalls can become a great help for those who are old or infirmed and need a place to sit while gardening. In short, seatwalls make sense. In order to be comfortable for sitting, seatwalls must be built with specific dimensions. Height: The average height of a seatwall is 18" but this can vary with the site and user. Surface: Avoid capping a seatwall with rough flagstone or other irregular surfacing that can prove uncomfortable. Older users may find slight bumps or depressions become painful after just a short time. Material: Be conscious of what kind of material you use so it does not have a tendency to snag synthetic clothing or finely woven natural cloth. The major offenders are wire cut brick and mortar joints with high percentages of sharp sand. 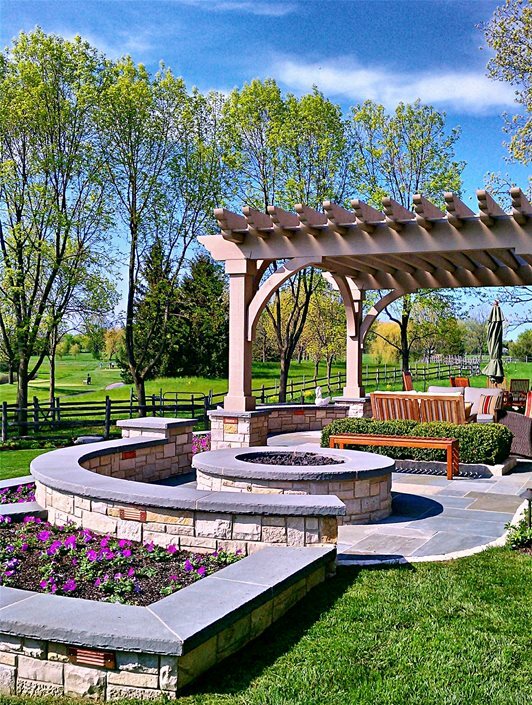 Landscape Architect Marco Romani of Glencoe, IL is keen on the proper cap for every seatwall. "We like to see a pronounced color difference between the cap and our stone veneer. A light value wall will call for darker slate, and a dark wall uses a lighter colored cap." Proportions are also important. "A seatwall cap size is relative to the scale of the wall itself. We use a 2" thick cap at minimum because thinner ones don't offer the substantial heft to a stone wall we like to see. If we have a much bigger wall we special order a proportionately larger cap. We prefer they overhang from 1 1/2" to 2"overhang on each side, and that edge should be routed to allow water to fall straight down and not draw back onto the stone face of the wall where it can cause staining and introduce unnecessary water into the core."